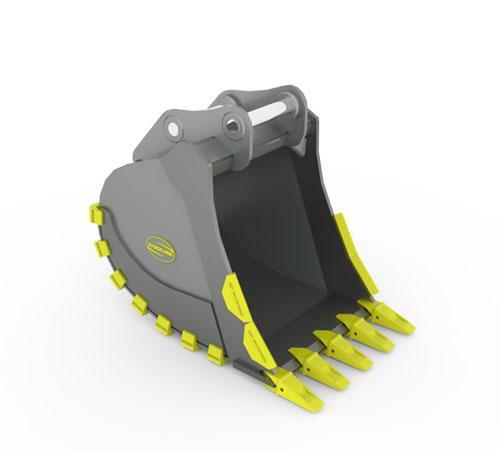 Our severe duty rock buckets are built to the same FEA-tested design as our HD buckets but have added wear protection to increase the life of the bucket. Full double 400BHN bottom to increase life. Additional cast side wear shroud to offer extra protection. Same 400BHN wear straps, but with added 700BHN Armor Bar to eliminate the need for hard facing. 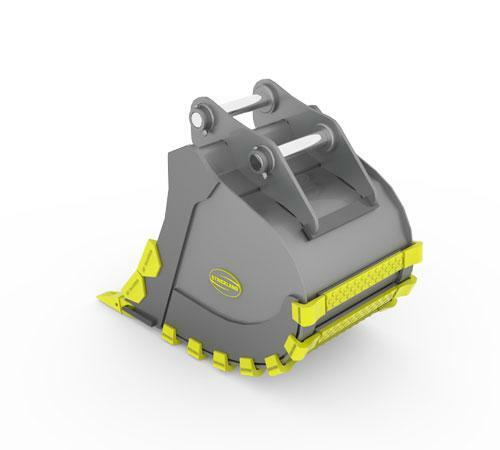 700BHN cast heel plates protect the structural welds and increase the life of the bucket. Multiple tooth options and quantities available.